Unique investment or 1st time buyer home, possibility of sweet equity with updating. 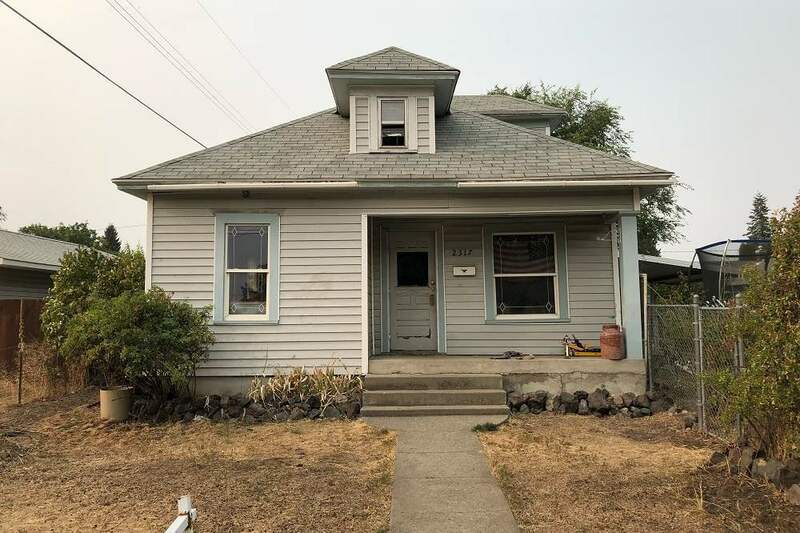 This home sits on a corner lot and is assessed as a 2 bedroom 1 bath, there is another room on the main floor that is not a legal bedroom but has area for hanging clothes, perfect for an office or for guests! Home has un-tacked carpet over hardwood floors, floors will need to be sanded. Original doors, large kitchen, enough room for island. Covered patio and shed. Great fixer-upper!